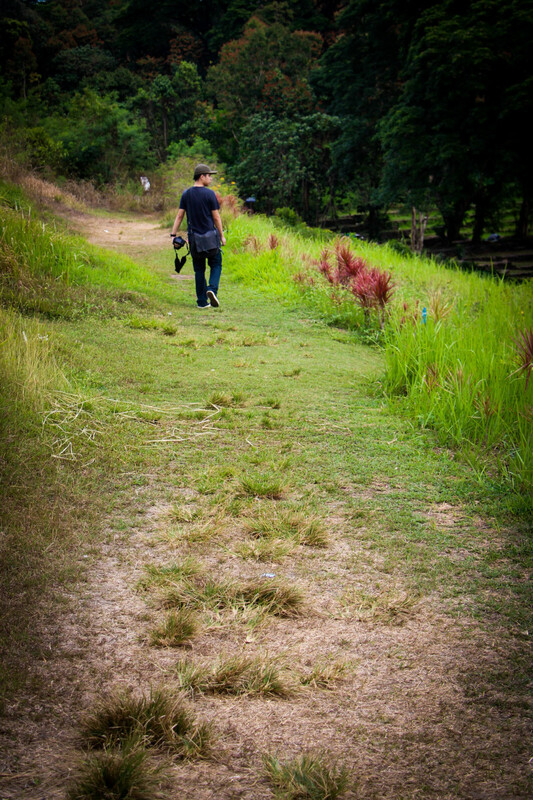 Amidst the fast-paced busy life in the Metro (specifically East Fairview of Quezon City), there is a hidden sanctuary called La Mesa Eco Park. Frankly, I didn't know that place exists until my friends planned a get-together in this park, and actually got the chance to see it myself. Our main intention in setting up a visit was just to go by the nature trail and shoot some photos (since all of us are into photography as a hobby). 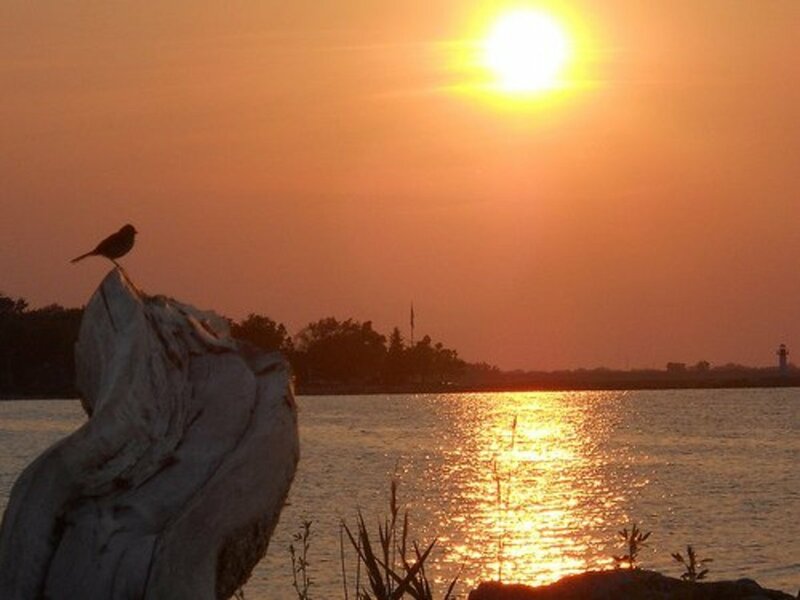 We thought that was the only thing we can do there; however, upon reaching the place, we were surprised that there are a lot of things you can actually enjoy in the park other than seeing and watching. Hence, here I am sharing those things with you, so that you can have a better planning than we did. 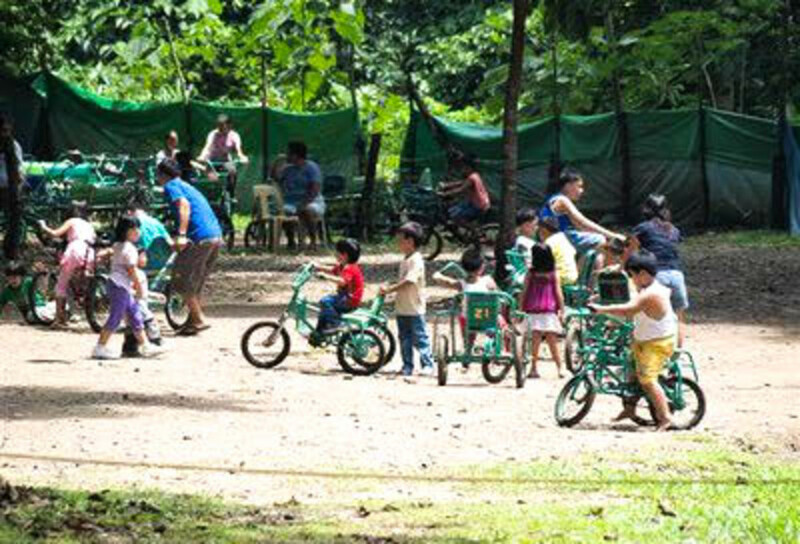 When is the best month to visit La Mesa Eco Park? We had this trip during April, so it was hot and humid. I am not exactly sure when is the best way to visit the place, so if in case you know it, suggest it via the voting poll on the right. Anyway, you don't have to bring that much if you just want to check the place out. A meager P100 may be sufficient to cover all your expenses excluding the food. However, if you are planning to do more than that, be sure to bring enough. To guide you more in budgeting, check out the table of rates below. I've tried collecting rates across various blogs, websites and Facebook groups. These rates may not be the updated ones, so feel free to comment so I can update them. Based on our trip there in La Mesa Eco Park as well as some readings, I've compiled these things that you can do and enjoy in the park! Set up a picnic here in the blissful park near the La Mesa Dam! 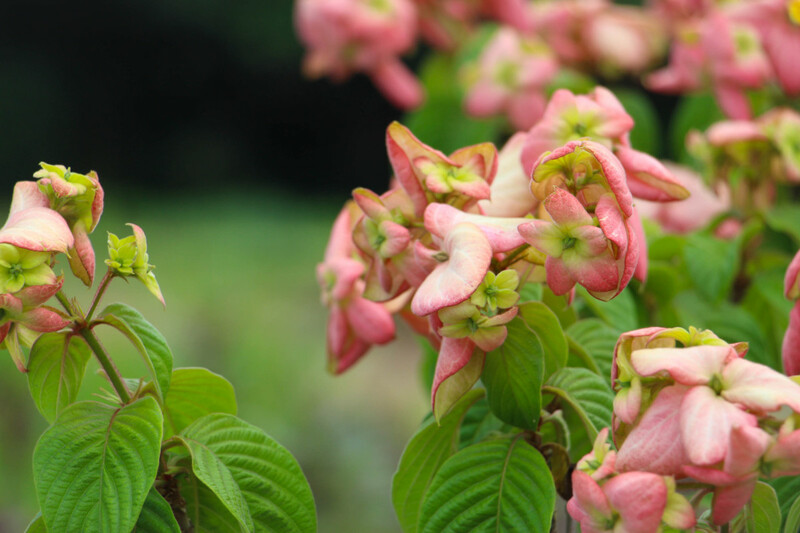 One obvious thing you can definitely enjoy in this park is to catch a glimpse of nature's work! As soon as you reach the place, traces of nature will be visible, and as you explore more, you get more exposed to the grandeur of our environment! 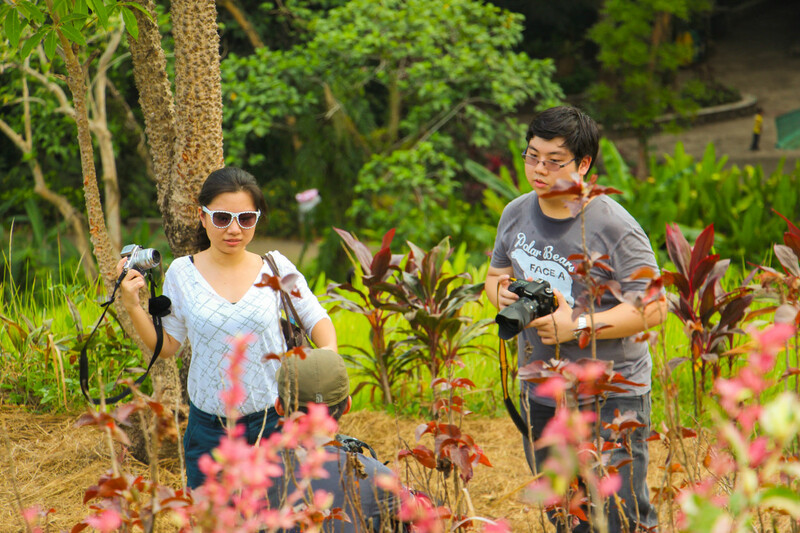 If you want to sharpen your photography skills (just like what we did), you may want do it here in the Eco Park. 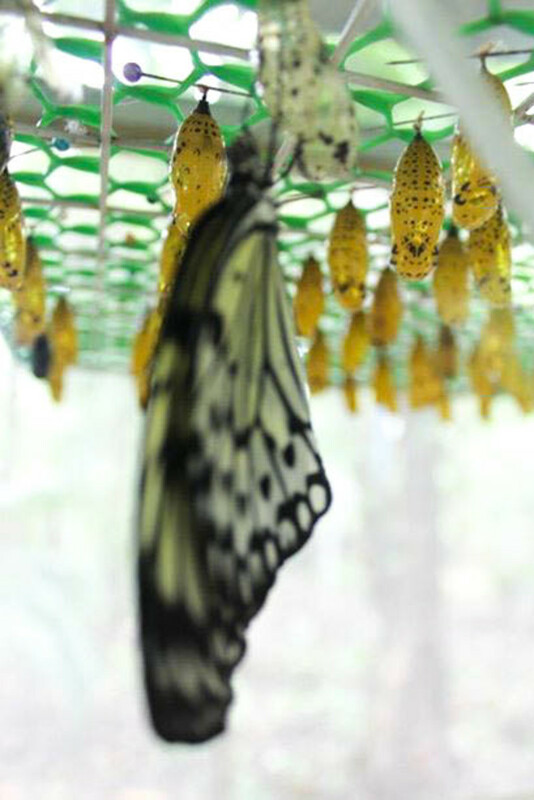 Your subjects will be flowers, butterflies and perhaps people as well (i.e. your friends). 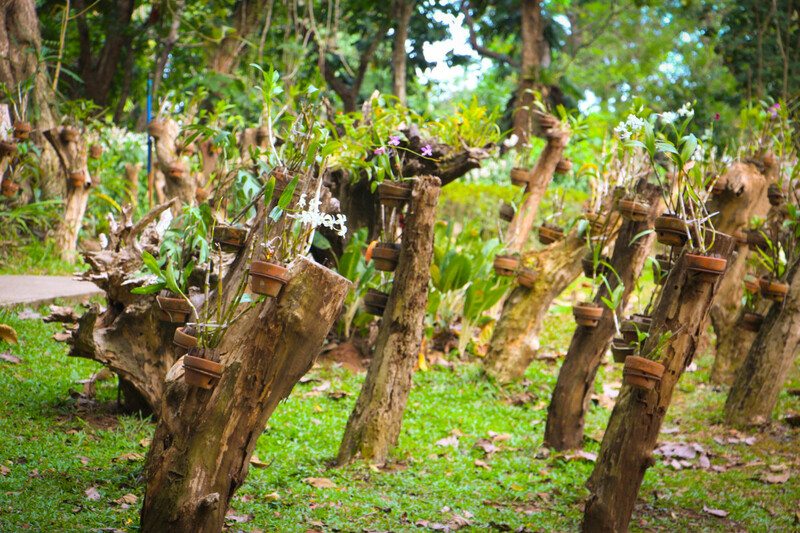 Check out the orchidarium as well for some interesting collections of orchids. Afterwards, you may see the Butterfly grounds to be fascinated by these beautiful insects! Lay down a blanket and just enjoy the surroundings with your loved one/s! Bring with you a basket filled with food and drink for an ultimate picnic experience! 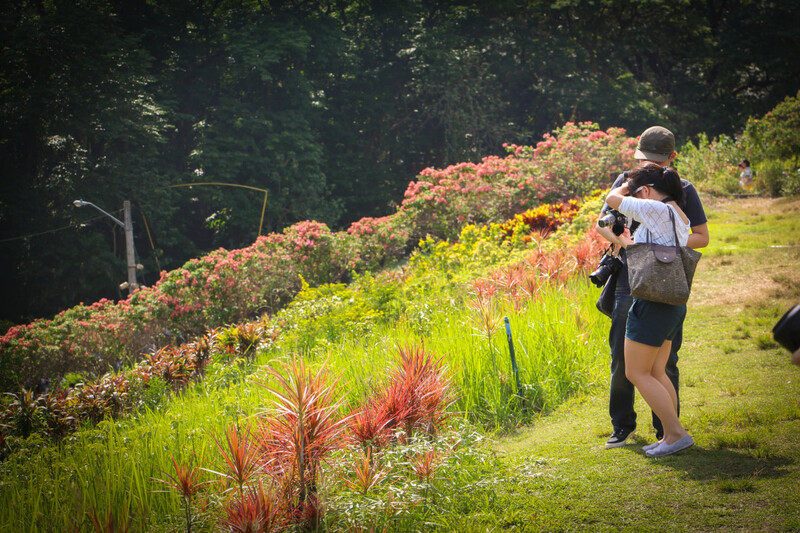 Photo opportunities are everywhere in the Eco Park! 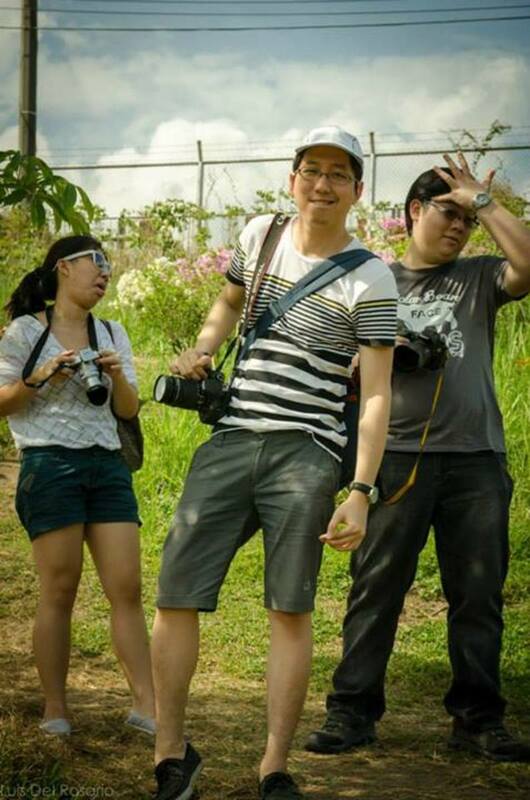 The nature found here in the Eco Park serves as a great background for photos! 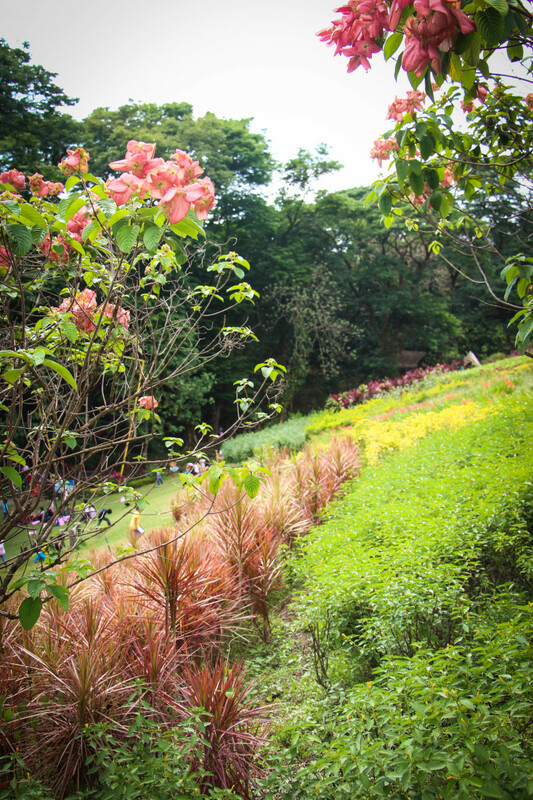 The La Mesa Eco Park can also be a romantic place for couples! As suggested above, you may go around and shoot some photos of nature. However, aside from that you can also have your special photo shoots here (i.e. debut, wedding or anything). My friends told me that a lot of couples choose this place for pre-nuptial shoots. As a matter of fact, when we visited the park, there were at least 2 couples doing either a pre-nup or an anniversary shoot. If you want to change a profile picture, and you want it to be awesome at the same time, then you may want to have it taken here. 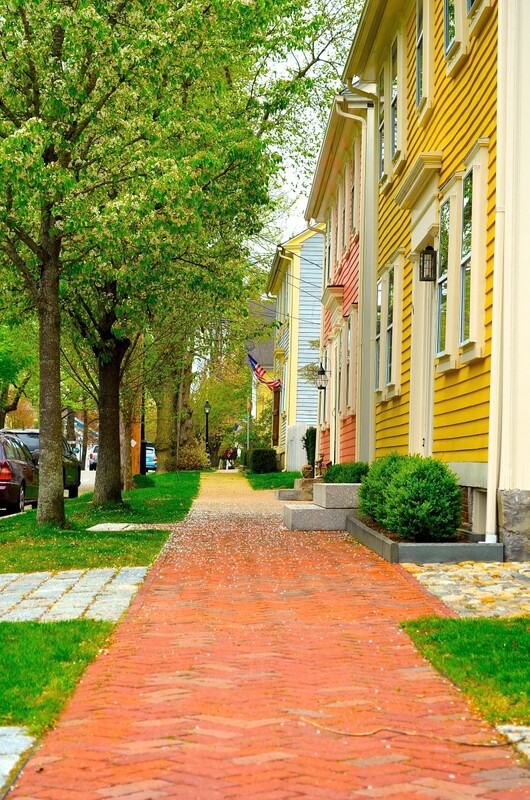 Expect a lot of people swimming in because of proximity and affordability. If you are feeling jumpy, then go for a bungee jumping on a trampoline. 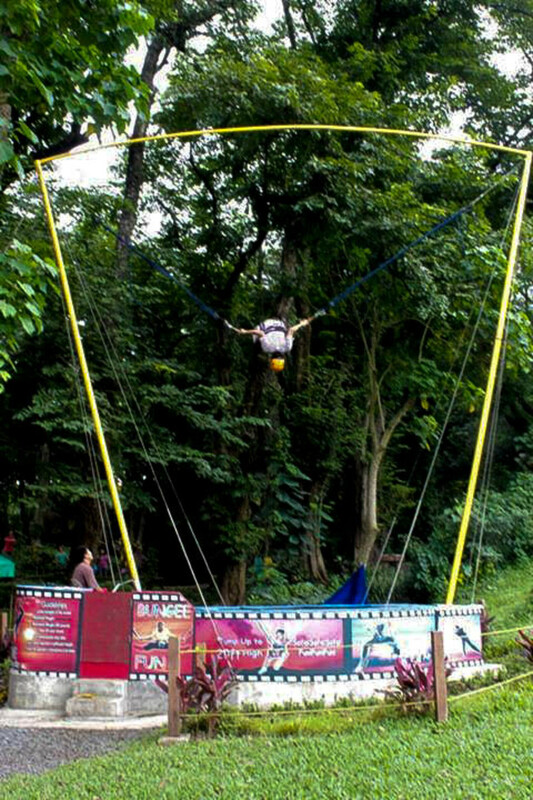 Costing only P120, this Bungee Jumping may just unleash the spirit of adventure within you! 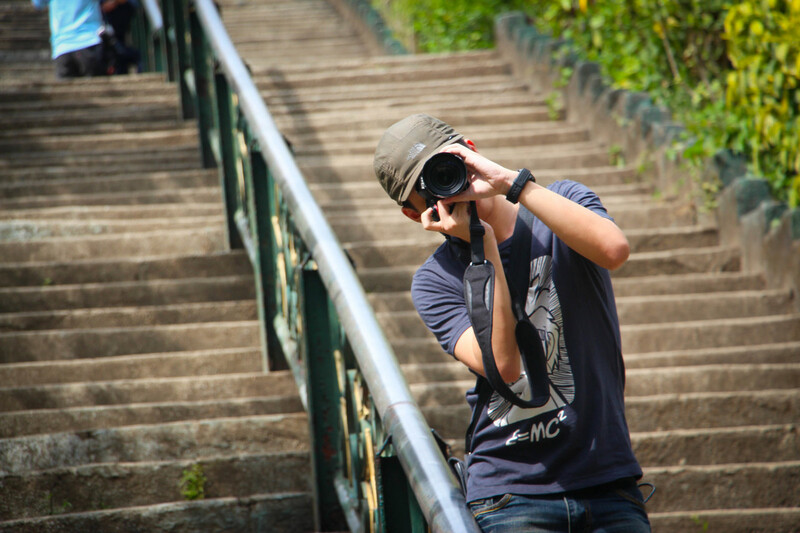 I haven't gotten the chance to try this because we focused more on taking photos around. Anyway, someday I know I'll have a sweet taste of adventure. 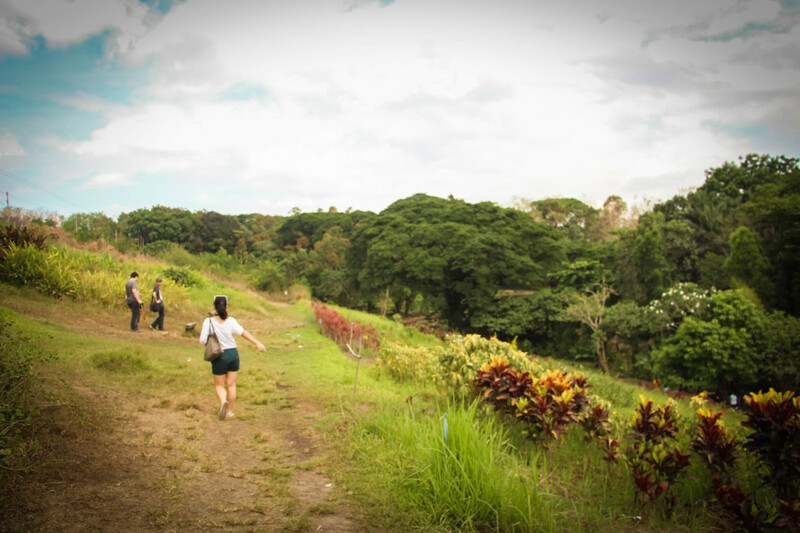 Breathe the fresh air as you glide down via a zipline in La Mesa Eco Park! 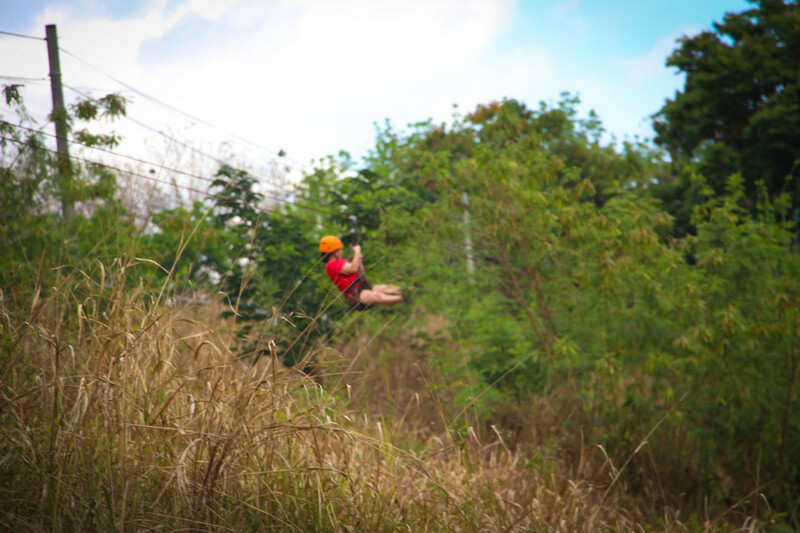 Riding a Zip-lining maybe a very common thing to do, but at least you can easily have it here in La Mesa Eco Park. 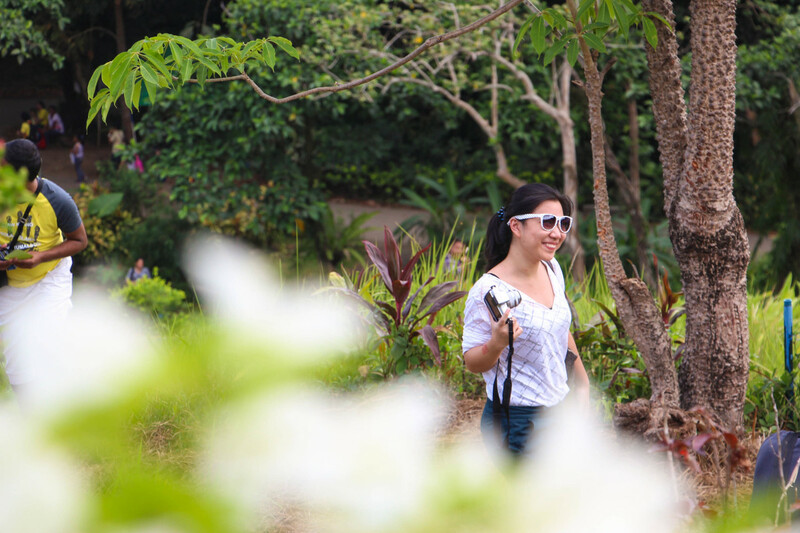 Catch a fast yet good glimpse of the beauty of La Mesa Eco Park through the Zipline. Just like in Nuvali, you can just opt to bike around as you enjoy the nice scenery. 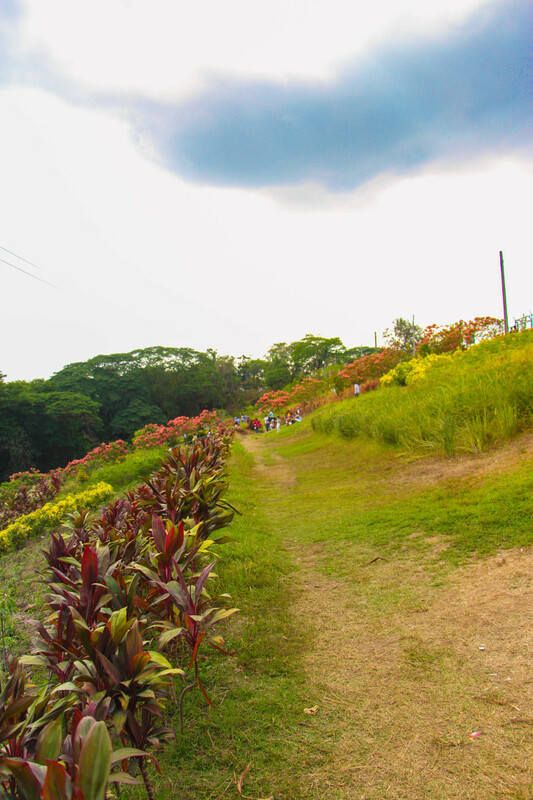 Although, Nuvali offers better scenes and bicycle as well, La Mesa Eco Park can be sufficient enough to give you some excitement. 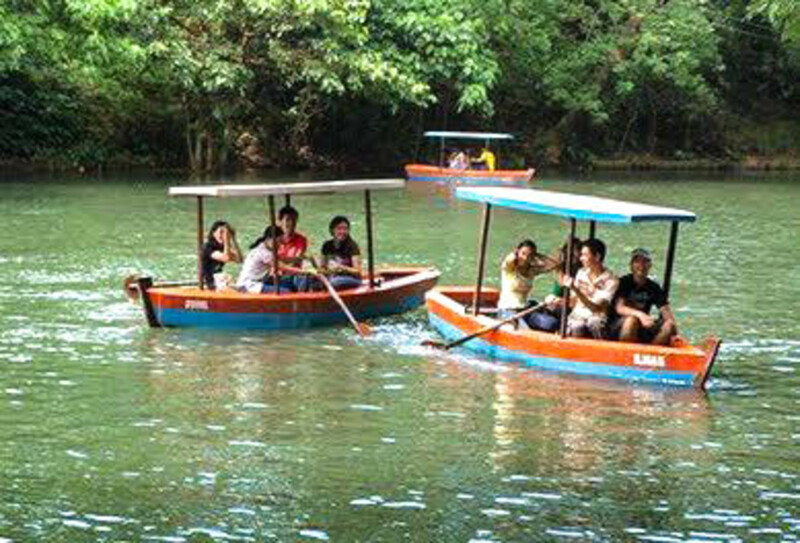 If you want something a little cooler, you can go for a boat ride by renting one at P100 per 30 minutes. What you may consider a fun thing to do is rowing the boat yourselves, maybe race with your friends? By the way, each boat can accommodate 4 people. 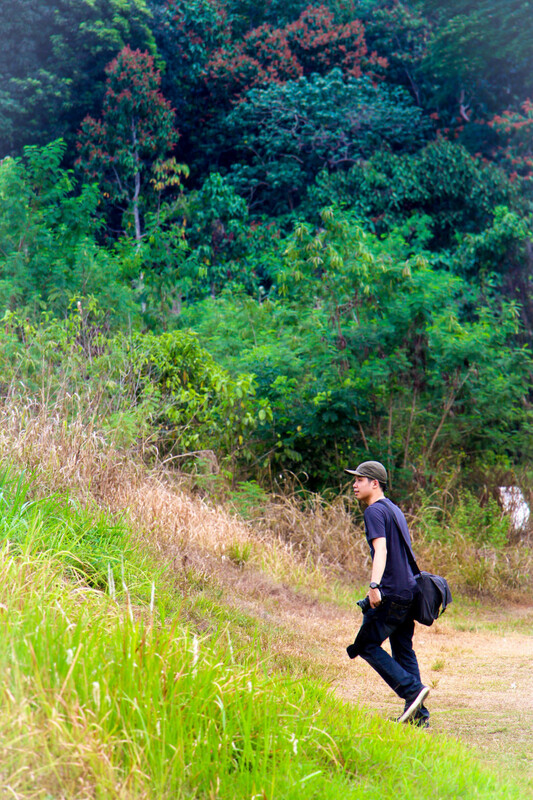 After hours of nature trailing mixed with photography sessions, we decided to call it a day. Everyone felt so great because we got to have a brief vacation and have a quality-bonding experience. However, there were some of us who forgot about two things: sunscreen protection and extra shirt. Share your experience here in this place by rating the place and commenting below. 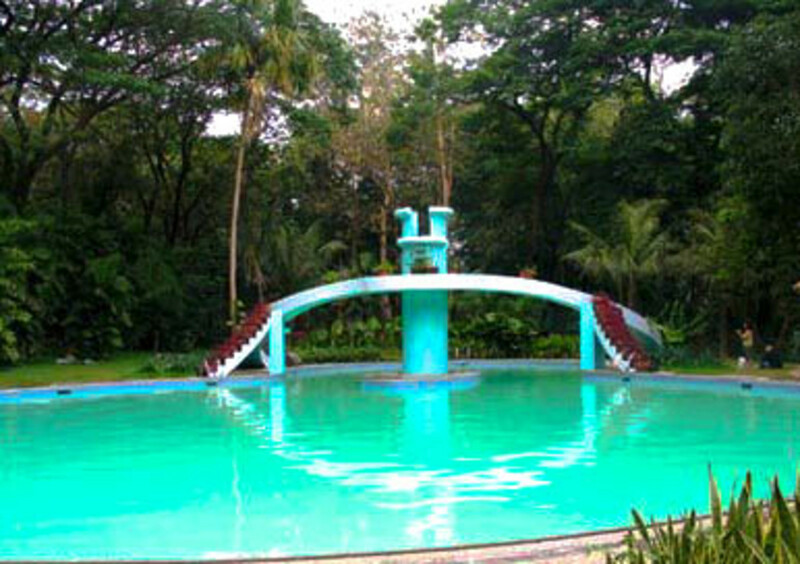 This is the magnificent place hidden in the bustling city of Metro Manila, specifically Quezon City. Find solitude in this place and be refreshed! 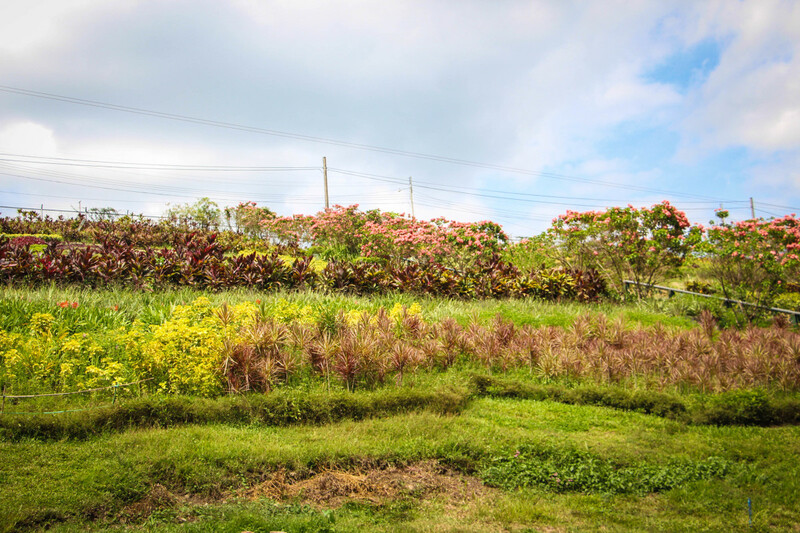 If you are seeking for a fancier park or place to visit, then you should consider visiting Nuvali! Check out the great things you could do in that place by reading this article! Explore the food scene in Manila and beyond by checking out the author's own food blog! @Shayne I believe it depends on what kind of photoshoot you will have. If it will for pre-nup, I think it will be safe to secure a permit. However, if you just intend to do a nature photography or photo shoot for school projects, I think you will no longer need any permit. Still, just to be sure, you may want to call up the management of the park. Hi. Shouldd I secure a permit for photoshoot? Thanks grandoldlady for visiting one of my hubs once more! And yes, even I was surprised to know there's a place like this in Fairview. It's nice to know there is an eco park in Fairview. I have friends who live there, and they never mentioned it to me. Thank you for this interesting discovery! Very cool place that looks like fun and learning. Wish I was there right now with my family!